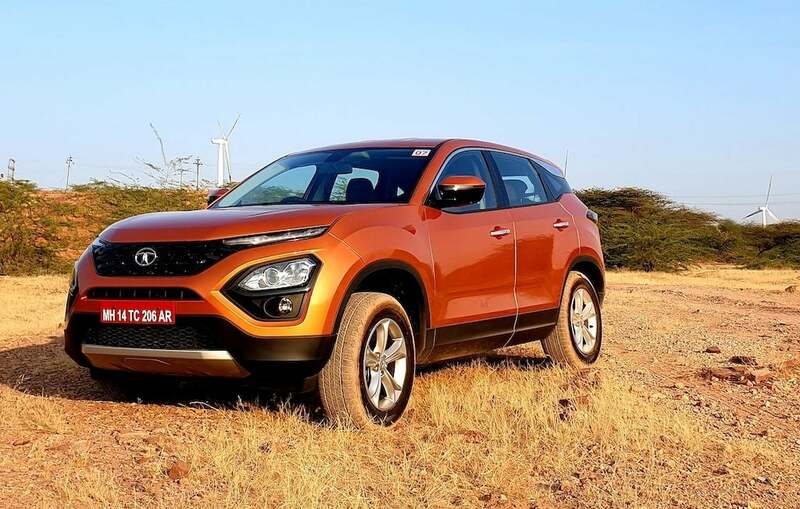 The Tata Harrier SUV made its debut in India recently at a starting price of INR 12.69 lakh with its top-spec variant retailing at INR 16.25 lakh (ex-showroom). 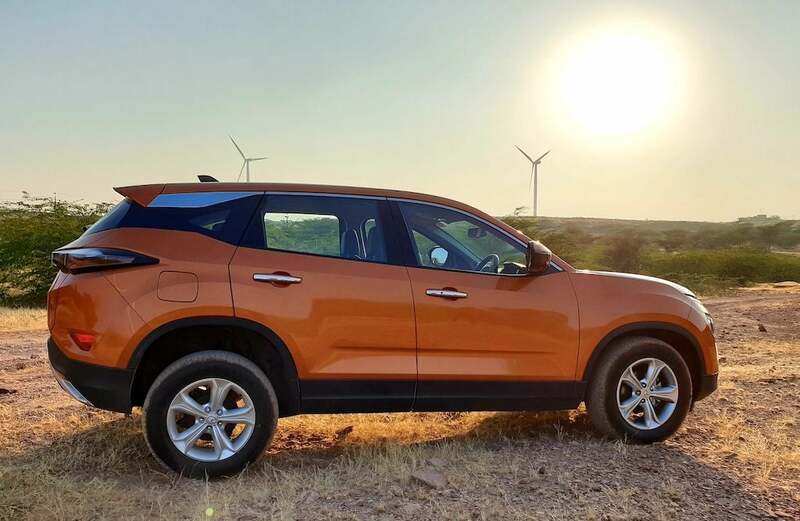 Currently, this SUV stands as the flagship five-seater for the homegrown automaker. 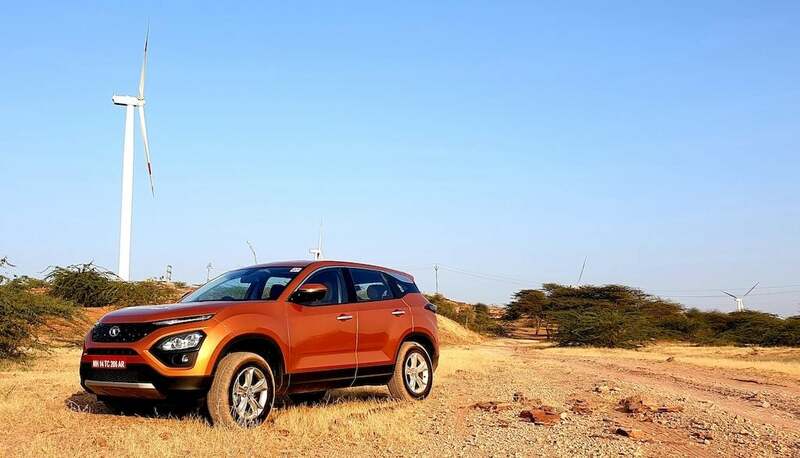 It is available with a 2.0-litre diesel engine and comes with a 6-speed manual gearbox. 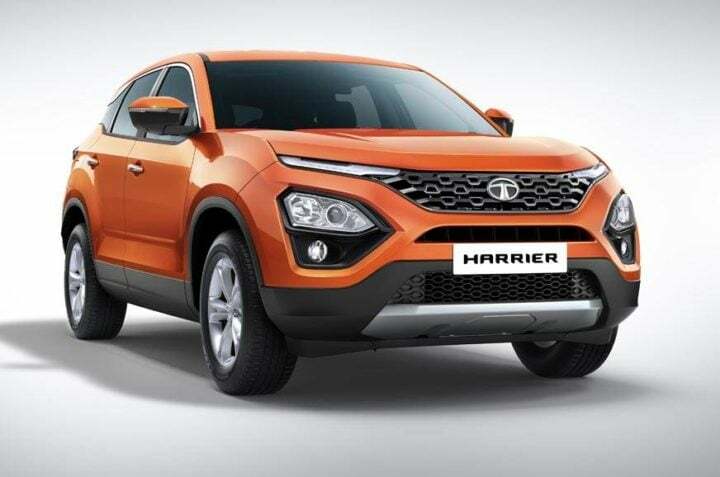 Soon, Tata is going to introduce a 7-seater variant of the Harrier in India which is also going to come with an automatic gearbox sourced from Hyundai. 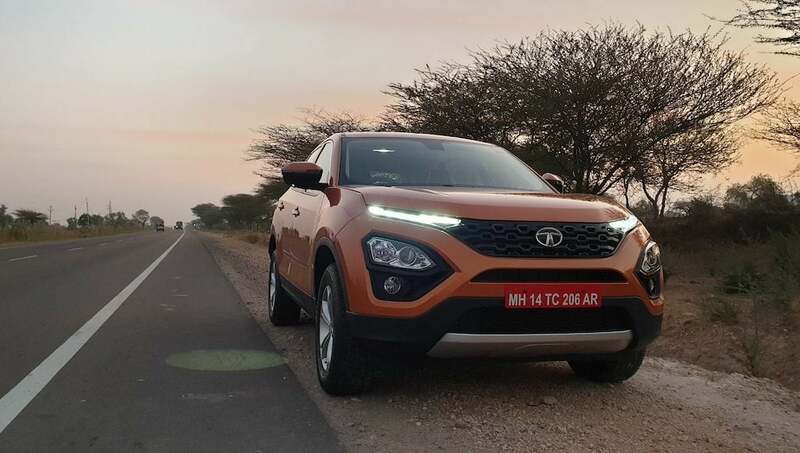 The prices for the Tata Harrier starts at INR 12.69 lakh. 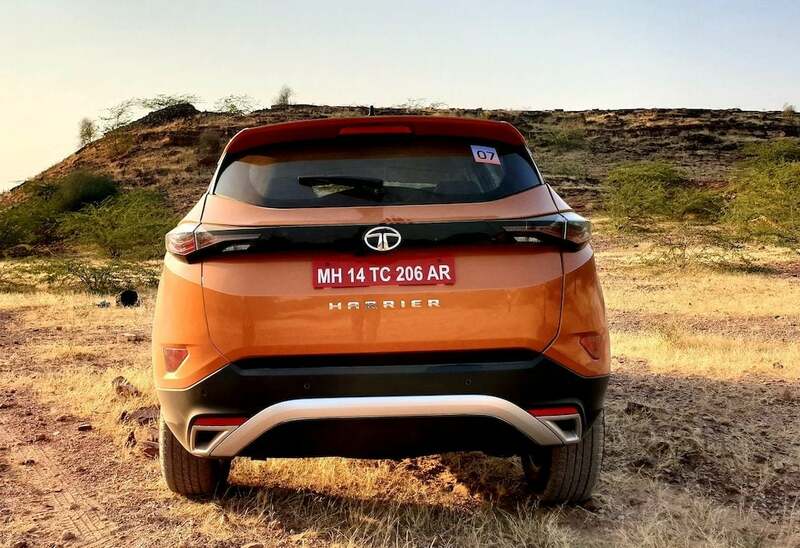 While the top-end variant is going to retail at INR 16.25 lakh. 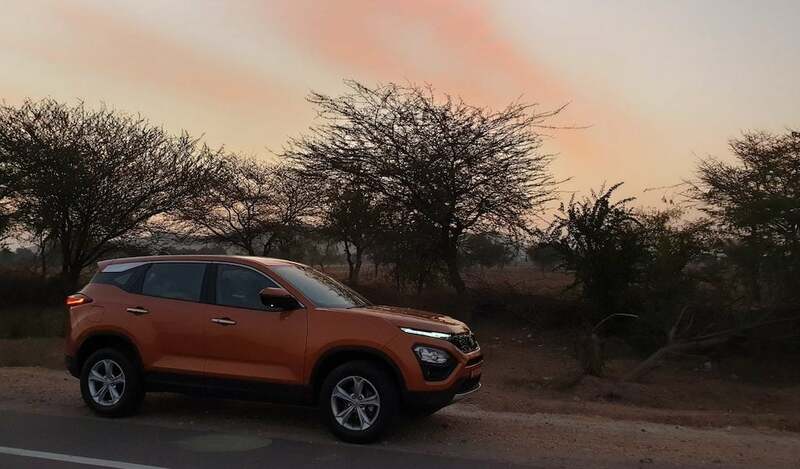 With this, the Harrier stands shoulder to should with its competition which includes the likes of Mahindra XUV500 and the Jeep Compass. 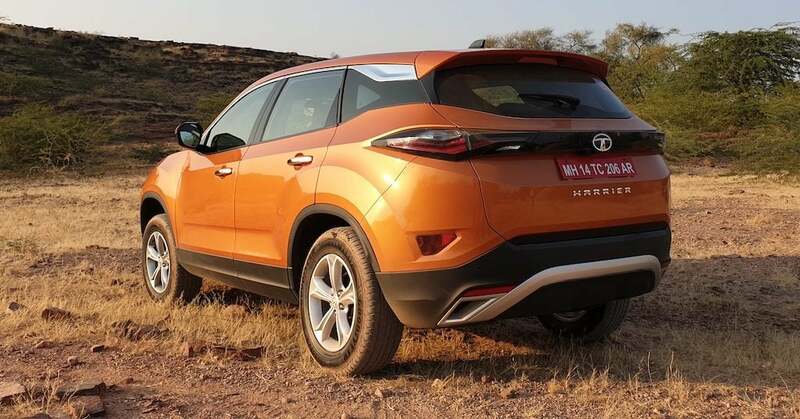 Tata Motors has revealed that at the time of its launch, the Harrier will go on sale only with a diesel engine under its hood. Yes, there will be no petrol engine on offer, at-least for now. 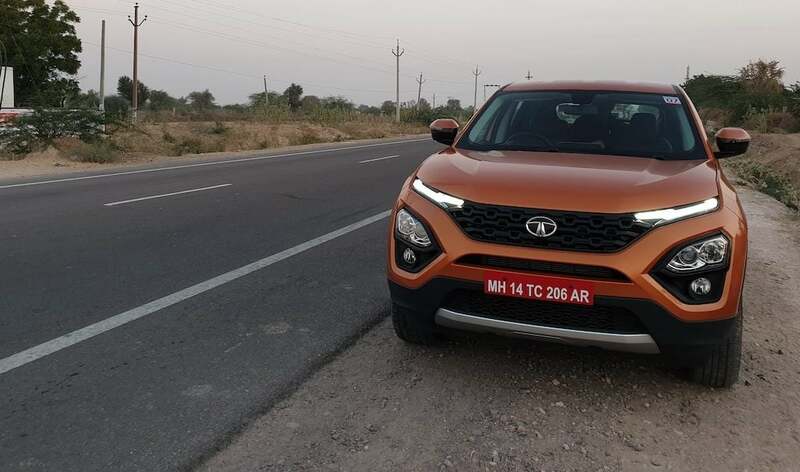 The diesel engine of the Tata Harrier is going to be the same 2.0-litre, 4-cylinder unit which does its duty on the Jeep Compass. However, the power output has been reduced from 170 BHP to 140 BHP. That said, the torque figures remains the same at 350 Nm. 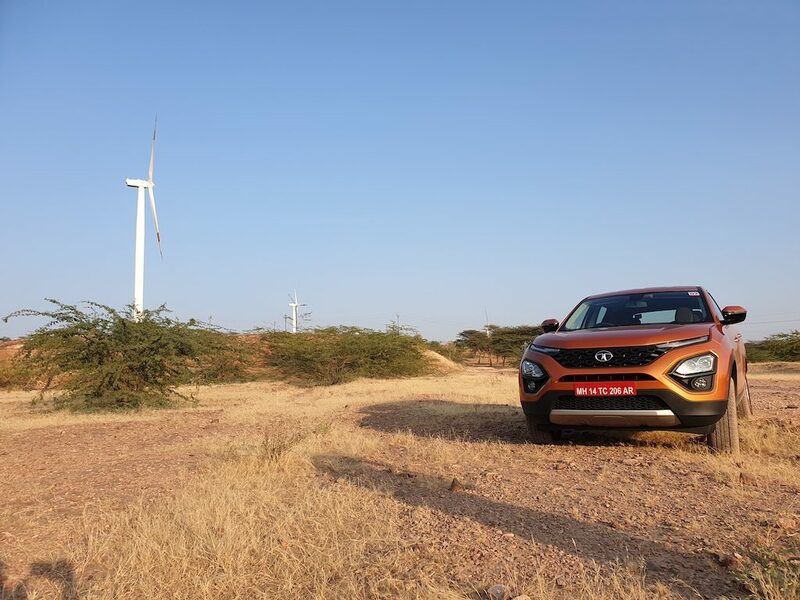 The reduction in power is also done since the Tata Harrier does not offer 4-wheel drive option. The same was done due to platform restrictions. 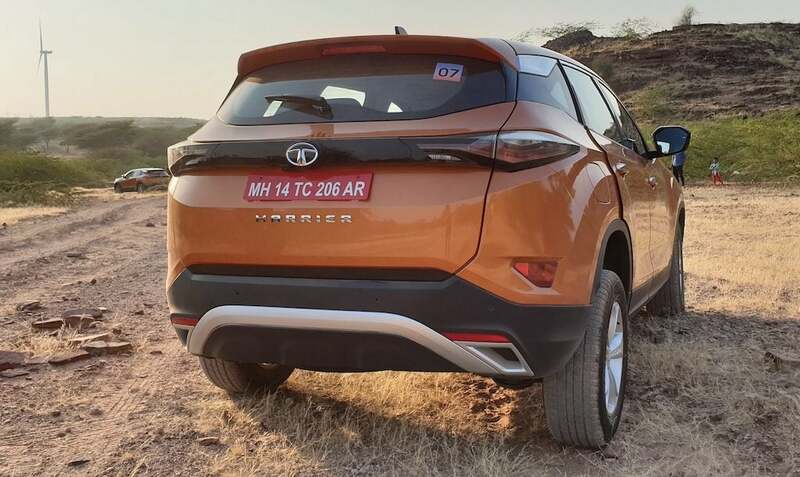 And to put your queries to rest, Tata Motors does not intend to launch the Harrier with a 4-wheel drive train option in the near future. 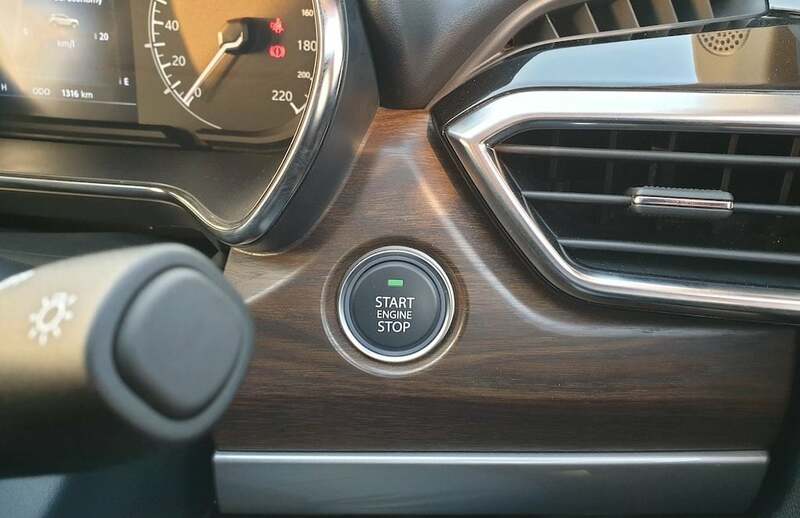 Another area where the Harrier is going to miss out on is the availability of an automatic gearbox at the time of the launch. 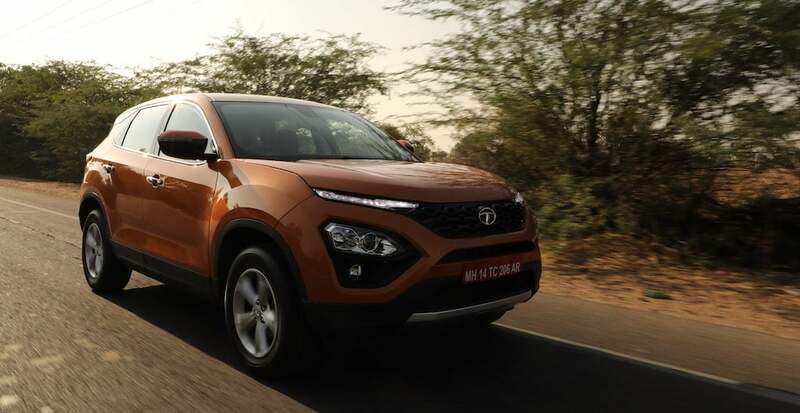 In January, the Tata Harrier is gong to make its debut in India only with a 6-speed manual gearbox. 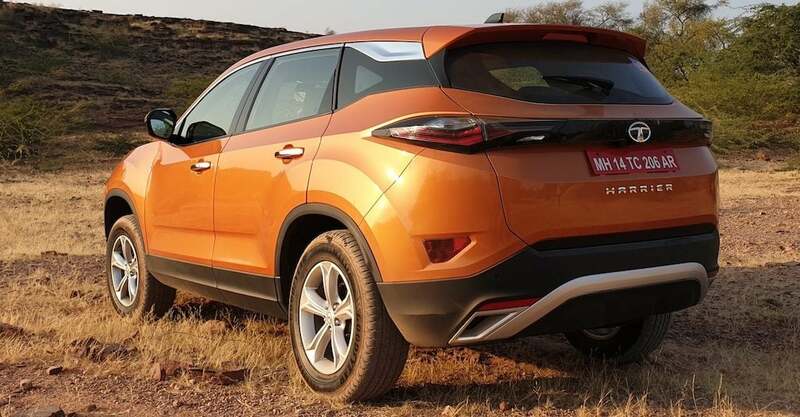 An automatic gearbox will join the SUV’s model line-up around the late 2019. 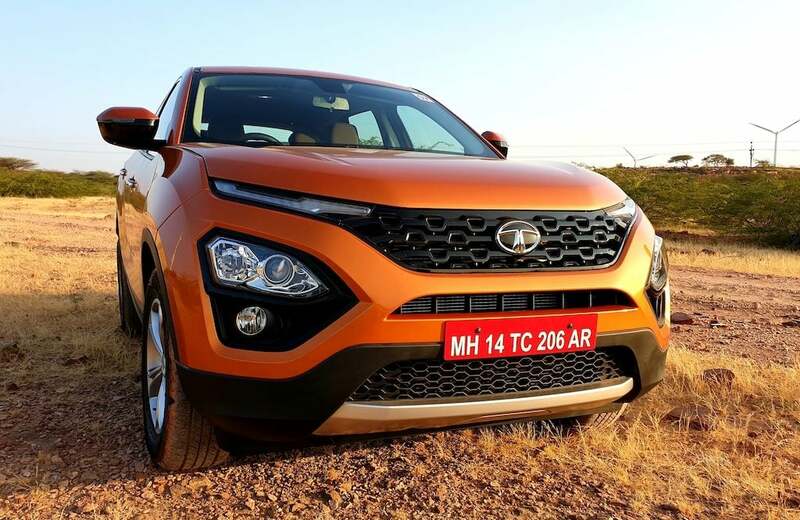 The Tata Harrier is going to promise an on-road mileage figure of close to 14 km/l. On the highway, the figure may even increase up to 16 km/l depending upon how it is driven! 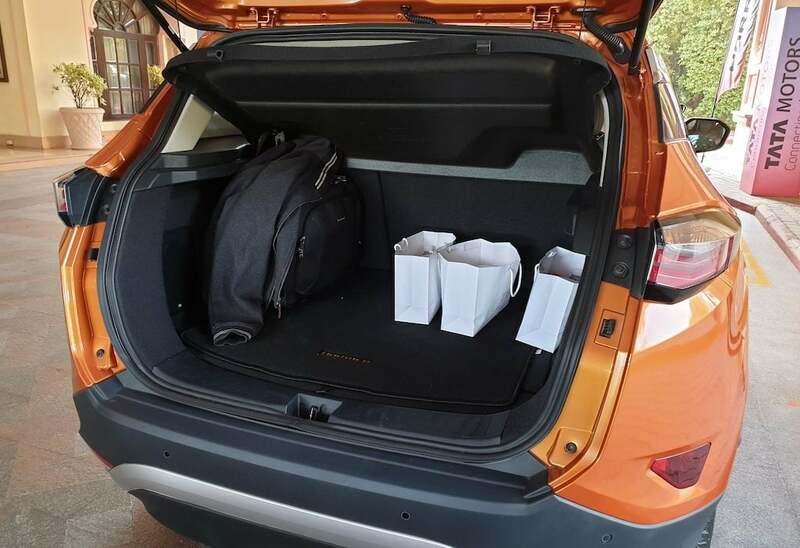 Tata Motors has left no stones unturned when it comes to loading this SUV with features and creature comforts. 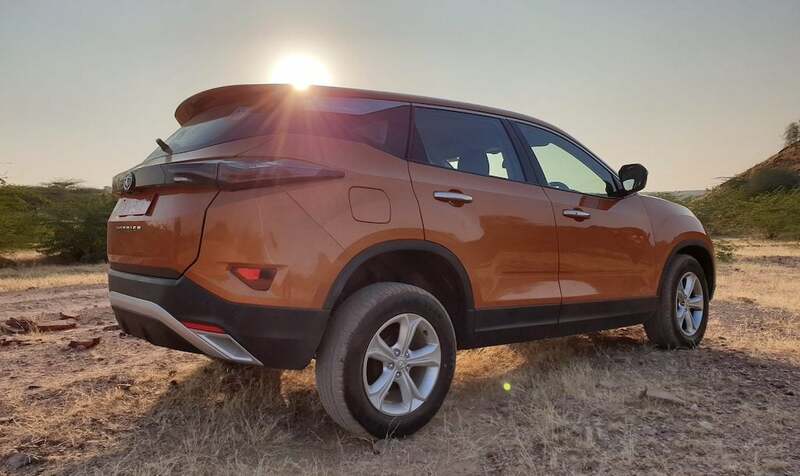 Being a premium vehicle from the automaker and competing with the likes of segment benchmarks, we are sure the following equipment line-up of this SUV is sure to give it a slight upper hand. 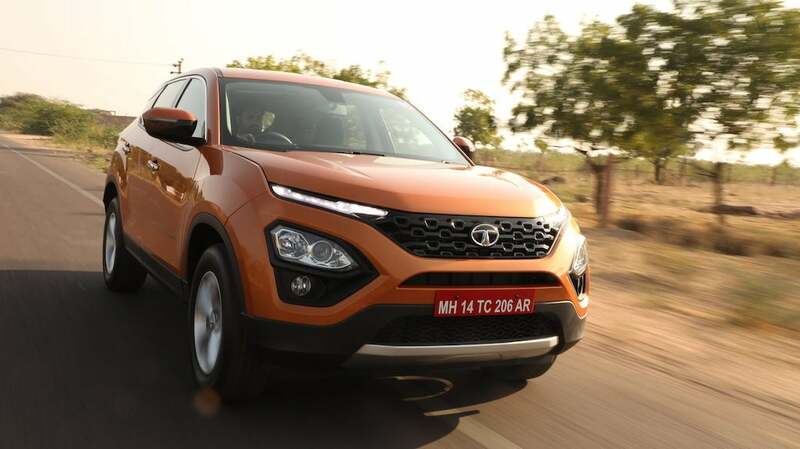 Tata Motor’s sub-compact SUV recently managed to score a very impressive 5-star safety rating in tests conducted by Global NCAP. 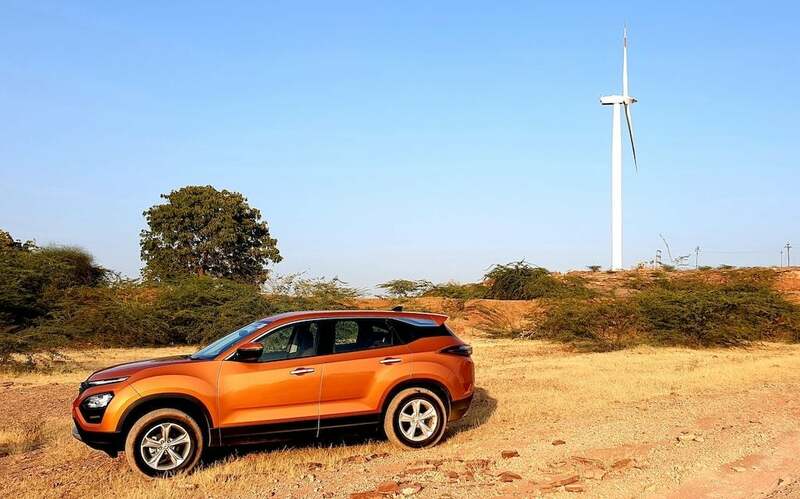 With this, the same has become the first India made vehicle to achieve the same. 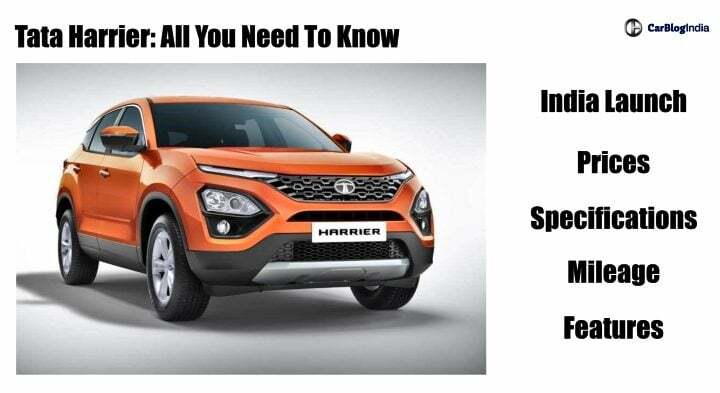 A similar performance is expected from the Tata Harrier as well. To be very honest, judging by the list of equipment levels on offer, the Harrier is bound to score impressively. The Harrier measures 4575 mm in length, 1950 mm in width and 1686 mm in height. It gets a wheelbase of 2740 mm and a ground clearance of 200 mm. The estimated weight is around 1650 Kgs. 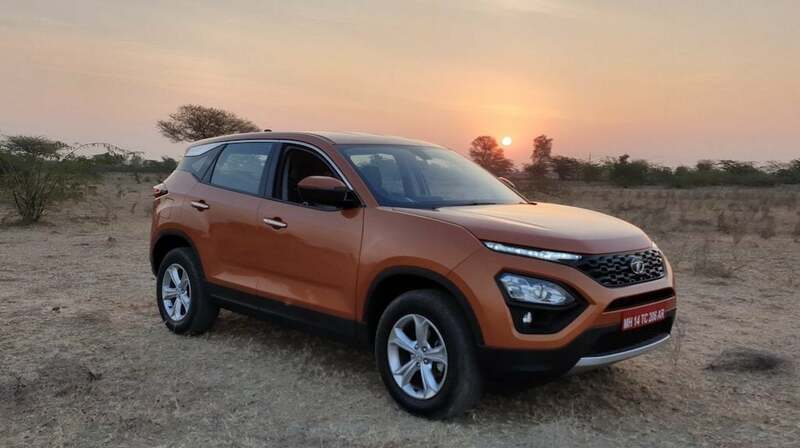 The exteriors of the Tata Harrier resemble to that of the H5X concept on which this vehicle is based upon. 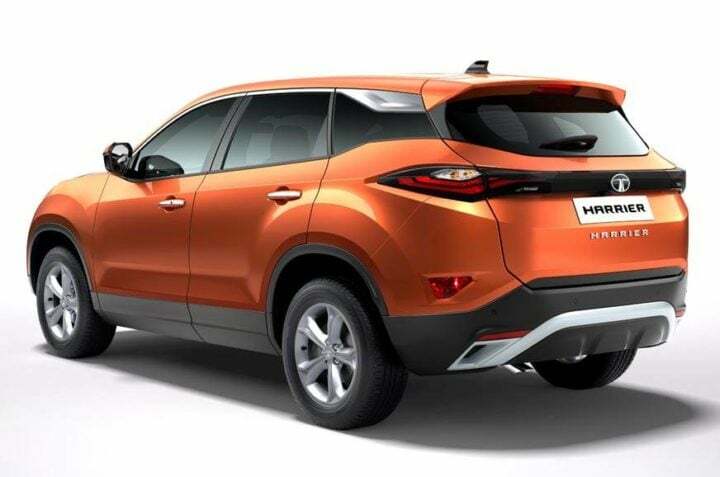 At the 2018 Auto Expo, where the H5X concept was showcased for the first time, the homegrown automaker has promised that they are going to make the production model of the Harrier as close to the concept as possible. 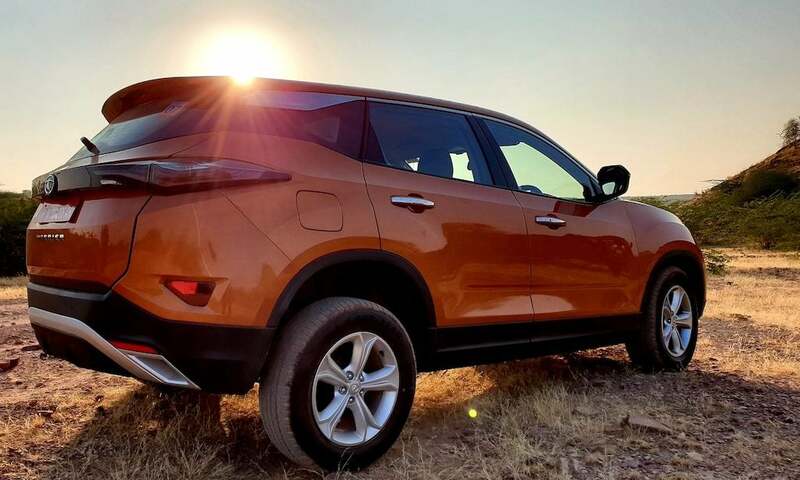 Up-front, this vehicle comes with sleek LED daytime running lights in place of the usual positioning of the headlamps. The headlamp unit, which is a projector set-up as standard, is placed alongside the housing for the fog-lamps. 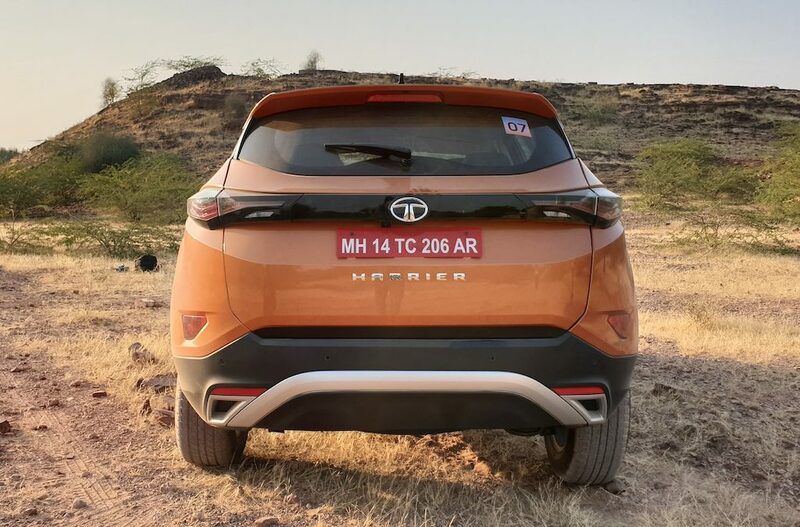 From the side, the Tata Harreir looks very dominating yet at the same time comes with contemporary character lines. 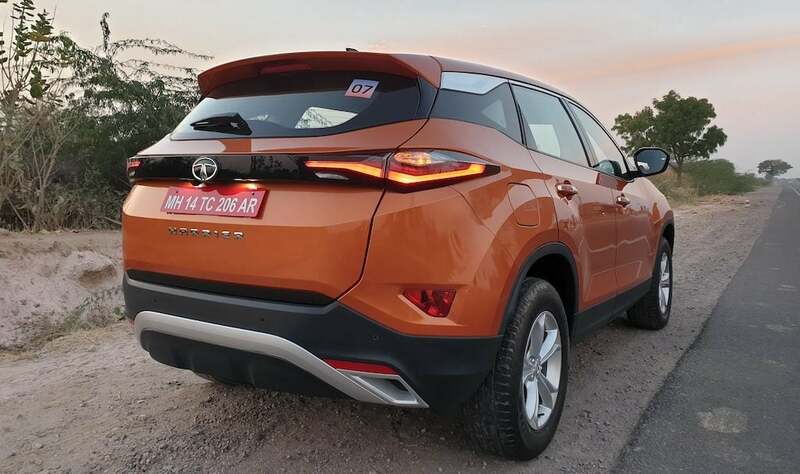 The rear of this SUV is also very appealing and comes with long sweptback tail-lamps with are LED lamps. 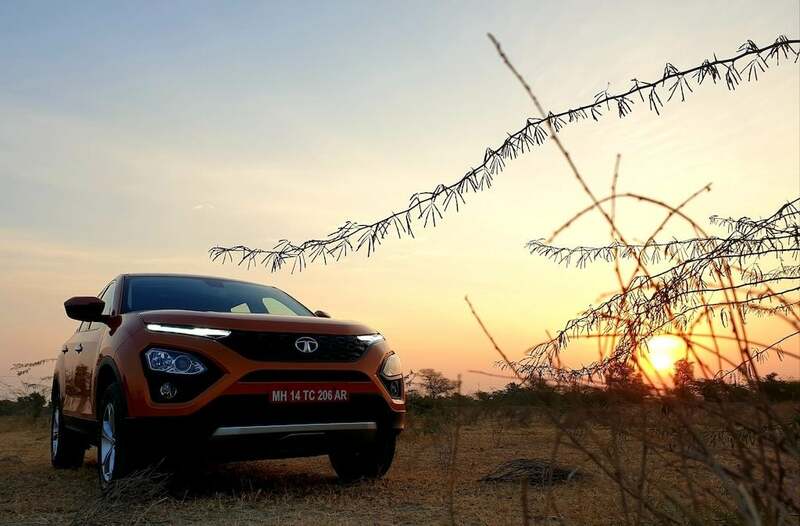 The interiors of the Tata Harrier SUV are loaded with features and creature comforts right up-to-the-brim. 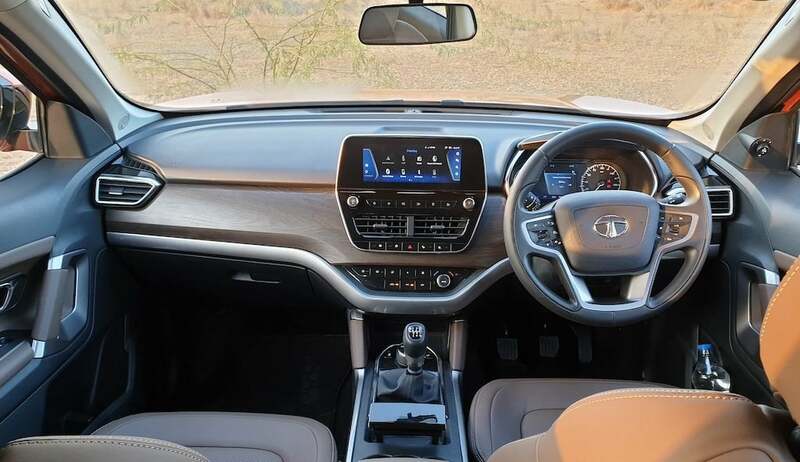 Tata Motors have used soft-touch materials on the dashboard as well as the door trims. 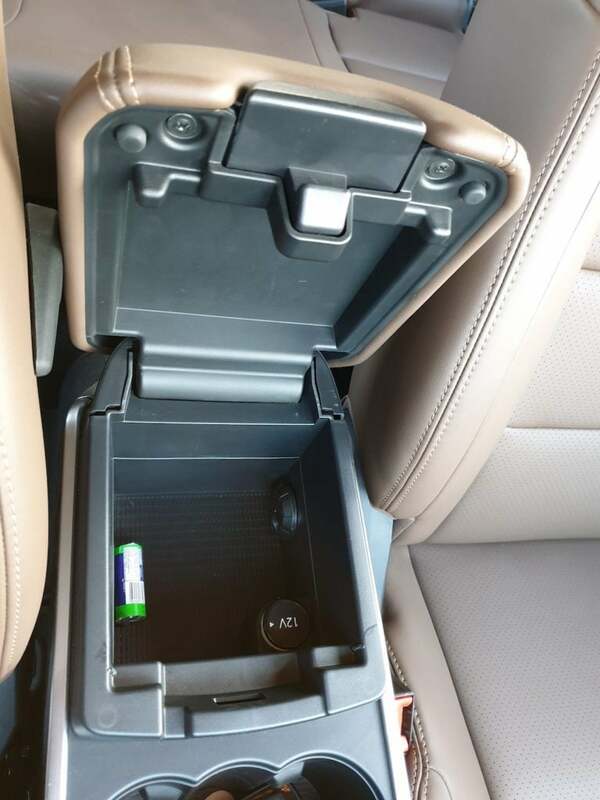 The build quality of the interiors of this vehicle is very good with premium quality materials used. 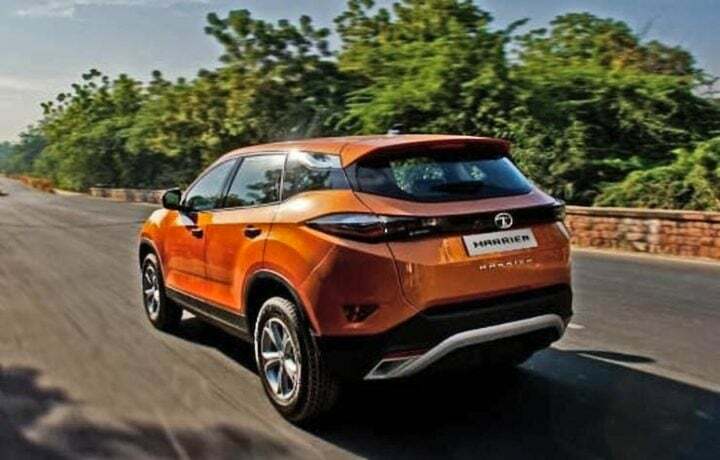 In order to woo customers in the premium SUV segment, Tata Motors have provided this vehicle with plethora of up-market features. 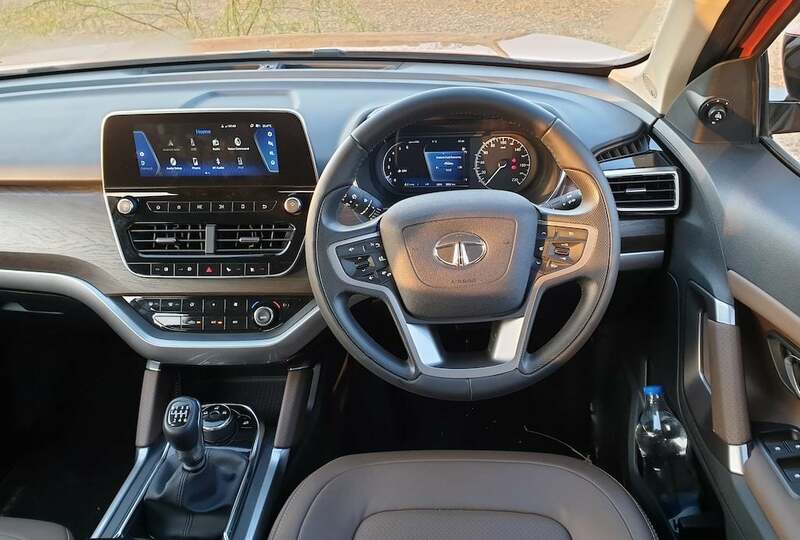 These include leather wrapped steering wheel, leather upholstery rear air-con vents among others. Contrary to our earlier expectations, the Harrier will be available only in a total of four variants. These are the XE, XM, XT and XZ. 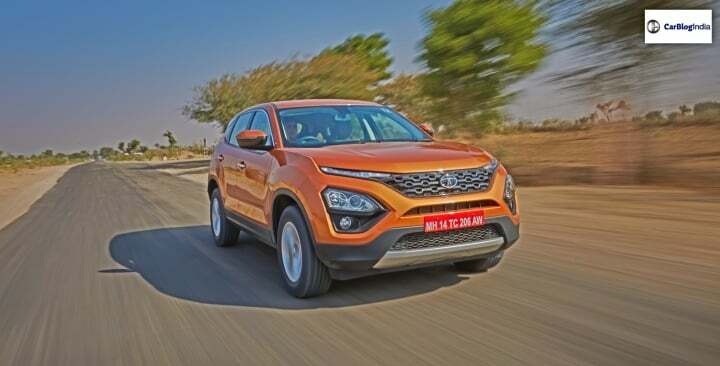 With an expected price tag ranging in-between the range of INR 13 lakh to INR 19 lakh, the Harrier is going to fall right in the highly competitive premium compact SUV segment. 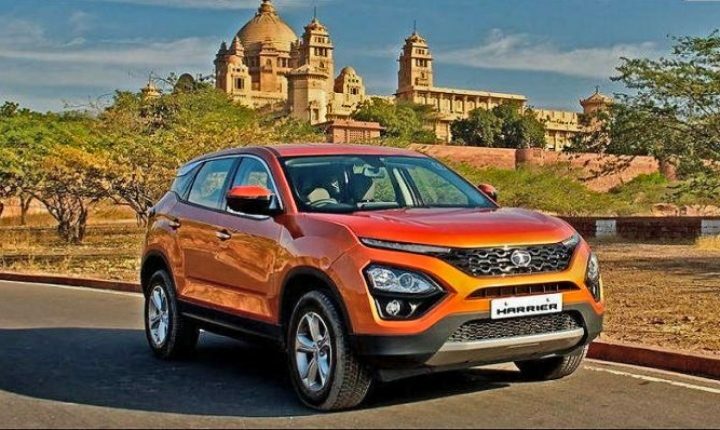 With this, its main competitors are going to be the Mahindra XUV 500, Jeep Compass, Tata’s own Hexa MPV and so some extent the top-end variants of the Hyundai Creta and the Nissan Kicks.